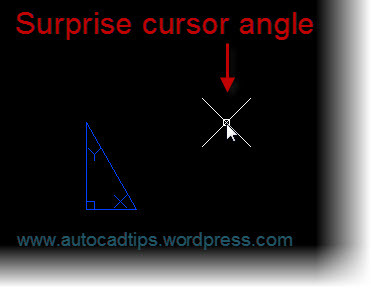 Have you ever opened someone else’s drawing and the AutoCAD cursor is at some odd angle? 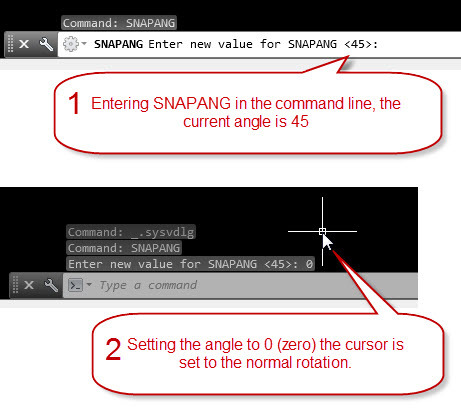 The system variable to help control this setting is SNAPANG. A quick glance at the system variable description doesn’t seem to be all that clear, but I know that if I enter SNAPANG in the commandline, it will make more sense. Side note: There are a few “common courtesy” or “drawing etiquette” rules that I wish more people would follow when they exit a drawing. This topic is worthy of its own blog post and I will put one together in the future. But the idea is that before closing a drawing, make the drawing so that the file is optimized for the next guy. 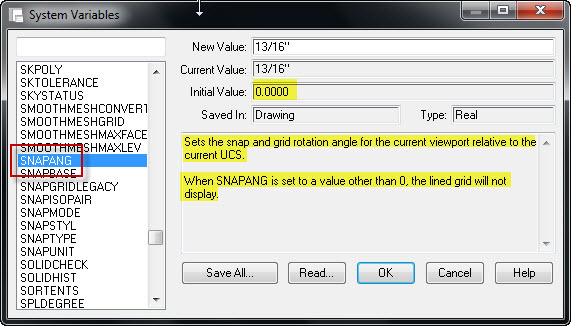 sorry how can i change it like isometric snap by setvar ?